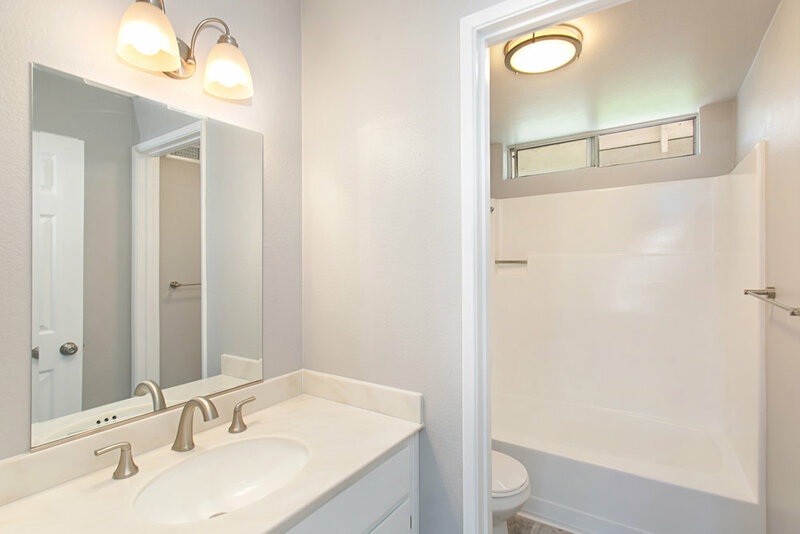 Aliso Viejo is known for its proximity to the beach towns, available entertainment and accessibility to freeways and airports for easy travel, this is a place you’ll not want to miss. 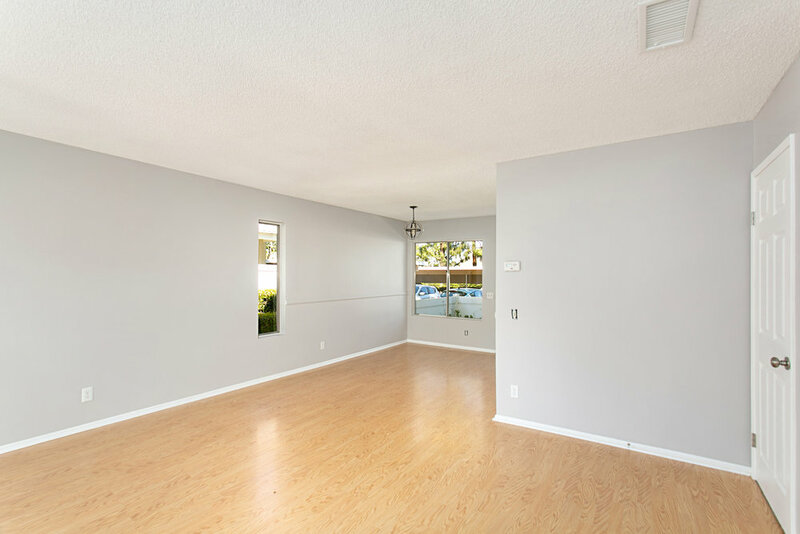 Enter through a gated front patio to this cute end unit location. Notice the open floor plan immediately upon entry. The entire first floor is dedicated to the kitchen and social space with a sizeable living and dining area. The kitchen included a side by side washer and dryer with extra storage space. 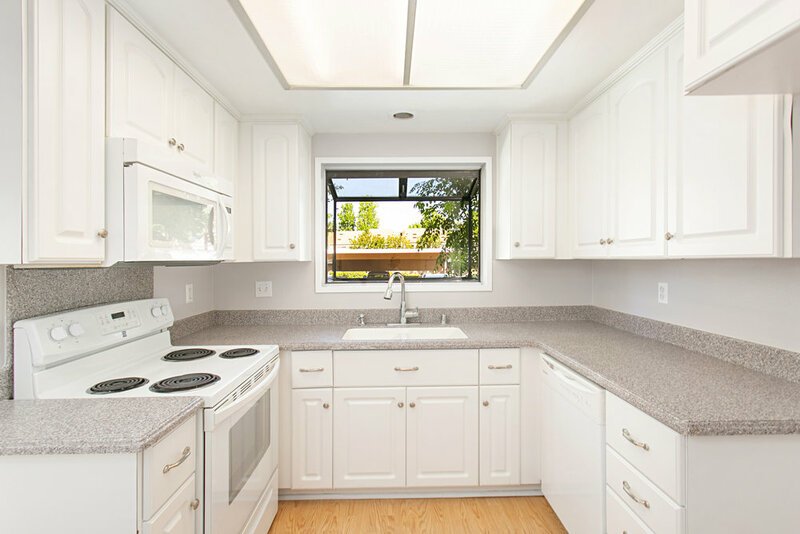 Also, the light and bright colors make the kitchen feel open and looks out to the front patio. 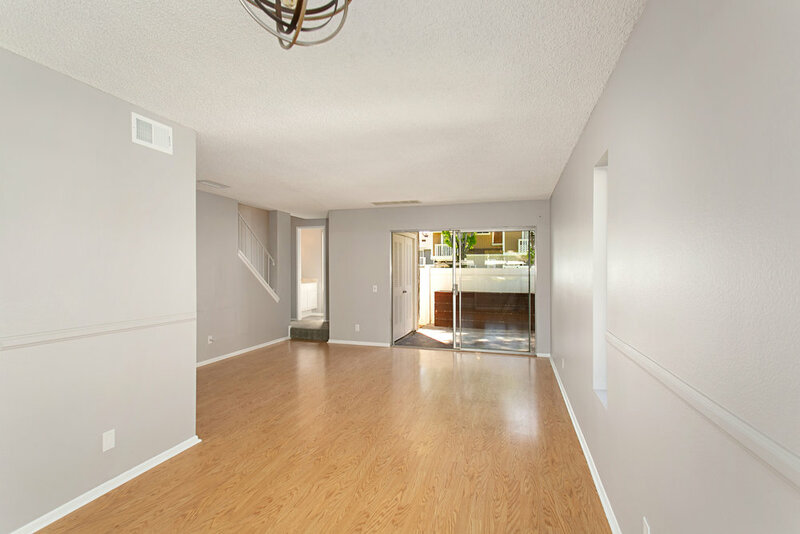 At the back of the family room is a large sliding door that opens to a private patio. Of course, the community courtyard in the back is easily accessible through the patio gate. Back inside, as you head toward the stairs, notice the ample closet space located underneath and the half bath on your way up. Upstairs, off the front of the house there are two secondary rooms. They look out over the community with no one directly across from the unit, so they are private. 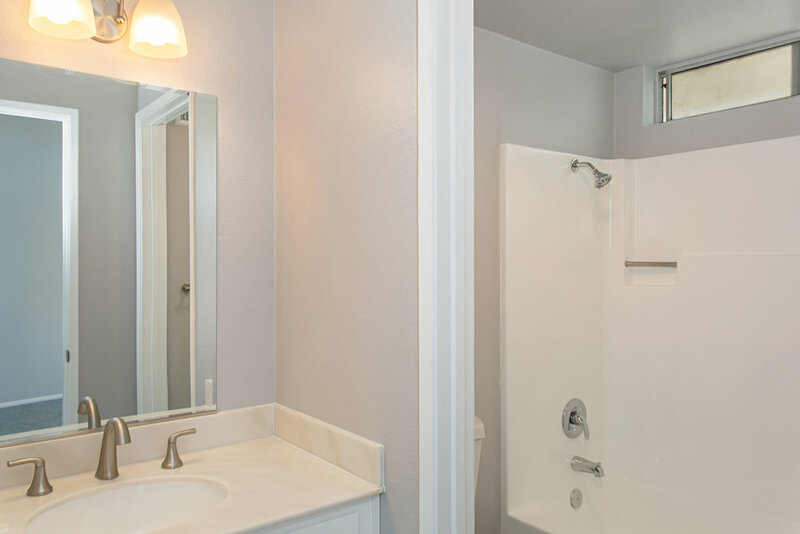 The full bathroom upstairs is located just down the hall and connects to the master bedroom. One can’t miss the high ceilings that open the room right up. The master also provides a large closet and a private balcony that overlooks the community courtyard. 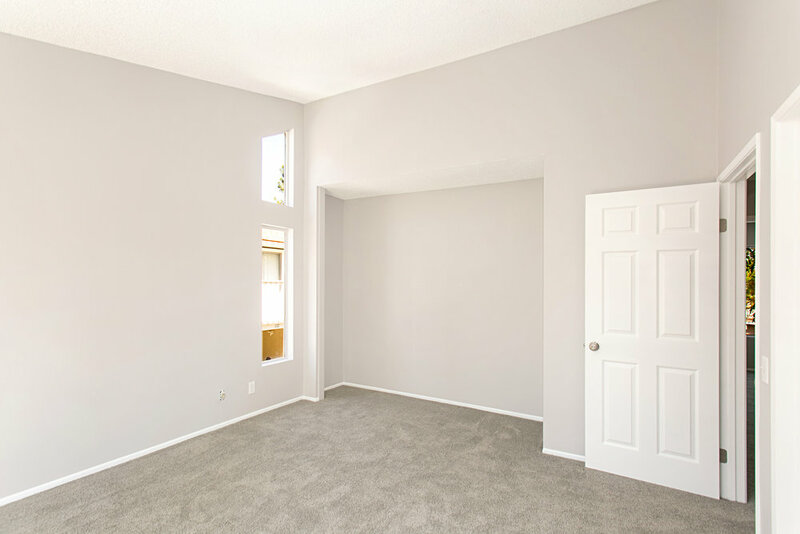 This property is freshly painted, has new doors and closet doors throughout, new toilets, new carpet and includes a carport and additional assigned parking space.